Smart Living Studios, Inc. was co-founded by Kristee Rosendahl, chief product officer, and Carl Alguire, CEO, in 2012. This was the same year the company introduced its first product, Smart Gardener, a free online application that’s designed to help people plan, grow and harvest their own organic food. Since the company’s inception, private individuals who care about the future of the food system have funded the business. “They learned about us through word of mouth, presentations or press about what we were doing and then reached out to us,” says Rosendahl. Smart Gardener keeps gardening simple and makes recommendations for the right plants, where to plant them, how many to plant, and then sends a list of what to do that week. Tasks can include planting, mulching, feeding, thinning, watering, and more. The planner keeps records, too. The garden planner works well for all climate types and regions, all year, says Rosendahl. The company continues to research new geo-location and predictive technologies to help recommend plants for each user’s microclimate. While the company currently is focusing on helping users who live in the United States, they have users from all over the world. Rosendahl says Smart Gardener works for gardeners of all backgrounds and gardens of all types. 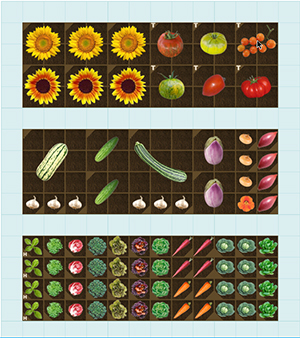 The majority of people who worked on the planner had backgrounds in gardening. The company wanted to consult people with experience to build the app and populate the system with high-quality data. So far, the company is doing well and currently has paying customers and a revenue stream. Rosendahl says that 43 million households out of the 78 million that have gardens are growing something edible, and those numbers are increasing every year. The company’s DIY online offering, SmartGardener.com, is now one of the top two digital edible gardening products in the U.S., according to Rosendahl. The company keeps growing and sees a consistent 40 percent of its total users returning every year. Rosendahl says that most people who run into gardening problems are first time growers. Rosendahl says the public has only seen the first of a number of large initiatives the company has planned. The company already is getting requests for services for managing chickens, fruit trees and bees.